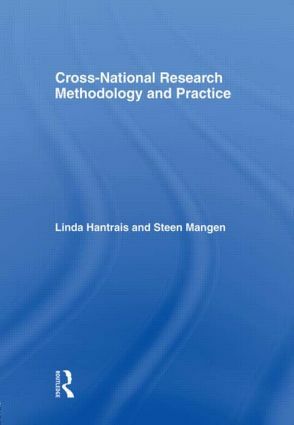 Cross-National Research Methodology and Practice offers practical guidance for relative newcomers to cross-national research by analysing and evaluating the research process by focusing strongly on best practice in terms of methods and management. It raises a number of important issues for cross-national research which have been given insufficient attention in discussions of methods and practice. The volume contains reflexive and theoretically based pieces on the development of contextualization as an approach to cross-national comparative research, on qualitative and quantitative methods, extending to the integration of different methodological approaches. the exploration of internet sources and application of computer analysis to quantitative and qualitative data. This collection provides a firm emphasis on methodological issues relating to context, values and discourse.